It has been almost eleven months since John was diagnosed with Therapy Related MDS, a relatively new and currently incurable cancer of the blood. Our initial prognosis with six months extended, thanks to a second opinion, to two years. These months have flown by, but looking back, I am proud of how we have settled into a "new normal" - a daily way of living with this new challenge. A new normal marked by grace, partnership, support and a quality I've come to recognize as resiliency. 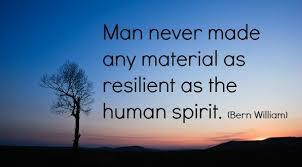 Resiliency - elasticity, malleability, flexibility, plasticity, buoyancy - I've long recognized this in John. With a history of non-Hodgkins that required the stem cell transplant that is the cause of his current illness, five hernia operations, three bouts of skin cancer, and macular degeneration, one might expect him to rail against the heavens or to just give up or give in. But he endures. He keeps getting up. He takes a day at a time and never relinquishes the fight. He stays remarkably present and positive. He remains optimistic and reminds me that he's not a statistic. He reminds me, too, that he beat the odds once, and he can do it again. That he can endure until there is a breakthrough that will extend his life with me. 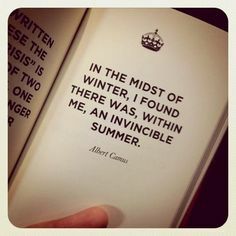 What I haven't recognized is that his resilience has rubbed off on me. I've thought of myself as tenacious, strong, and determined; and those are not bad qualities. But I like resilient better. It's more fluid, less easily bent or broken. Definitely an asset during these tenuous days. And these days are tenuous. There are the ordinary breakdowns of everyday life. The breakdowns we all experience. We lose our TV picture. It's so hot that our potted plants all wither and die. We keep receiving those calls that our computer is infected or someone can help us with college loans we never took out 50 years ago. A light on my dashboard lights up for the 4th time, still not fixed after three trips to the dealer. The bombardment of news gets more frightening with each passing hour. I'm not sleeping well. What's a resilient soul to do? Well, work patiently with the disembodied voice in technical support to recover the TV picture and be grateful we got a living breathing soul. Remove the dead plants and wait till it cools off before replacing. Stop answering calls from locations we don't recognize. Take the car to the dealer and tell them the car will be returned if they cannot fix it properly once and for all - they did. And limit the news, which also cured the sleeping problem. Then, there are the bigger breakdowns. The medical assistant that we have come to rely on for information and support suddenly leaves the clinic to move to another city. A few days later, a dear friend who has been a key member of my personal support system lets me know she is moving, a wise decision for her, another loss for us. A shot that we have hoped would make transfusions needed less often has had no measurable effect. What's a resilient soul to do? Well, learn to access and interpret John's blood test results on the computer. (Actually, doing so makes this resilient soul feel just a little proud of herself). Get to know more of the clinic staff. Plan a trip to see our friends after they are settled in, giving us something to look forward to. Work with our doctor to design changes to John's treatment plan. This is our new normal. To take in new information and adjust, as quickly as we can, as patiently and gracefully as we can. To work with each other and our network of support. To seek solutions rather than rail against the problems. To focus on what is within our control. A day at a time, some days an hour at a time. I do like resilient better. It's more fluid, less easily bent or broken. Definitely an asset during these tenuous days. Definitely, a valuable asset for an unknown future.